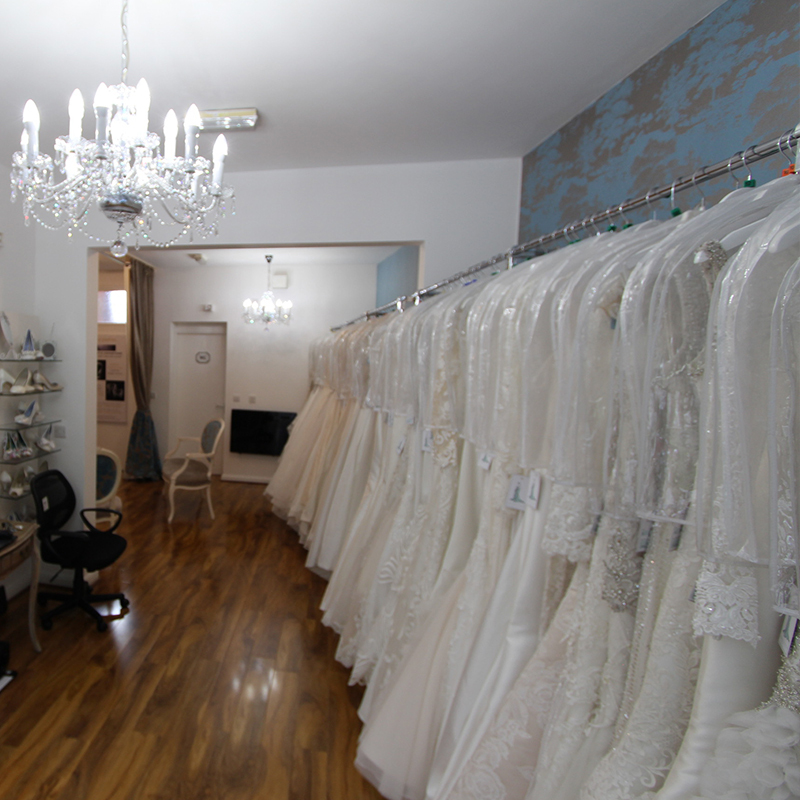 Alongside bridal gowns, bridesmaid dresses and men’s suit hire, we also offer a selection of, bridal shoes, accessories, dry cleaning and bespoke fitting. Your wedding gown is as precious as the first day you found it, with so many treasured memories. To preserve your beautiful wedding dress we offer a fabulous dry cleaning service. Working with a local independent dry cleaning company, they will use a gentle and environmentally friendly process, to make it pristine again. Your dress will be restored in such a way that whenever you look at it, touch it or try it on again, it will take you right back to your Big Day. Our wedding shoe collection has been designed with the bride in mind. We have used a variety of heel heights, toe shapes, materials and details, hoping each bride can find their perfect pair of wedding shoes to pair perfectly with their wedding dress. We have only chosen wedding shoes of the highest craftmanship and hand-crafted attention to detail with a luxury ‘feel’. Our range of accessories equally compliments your wedding dress and bridal shoes of choice. Our accessories are the finishing touches to the perfect wedding outfit. 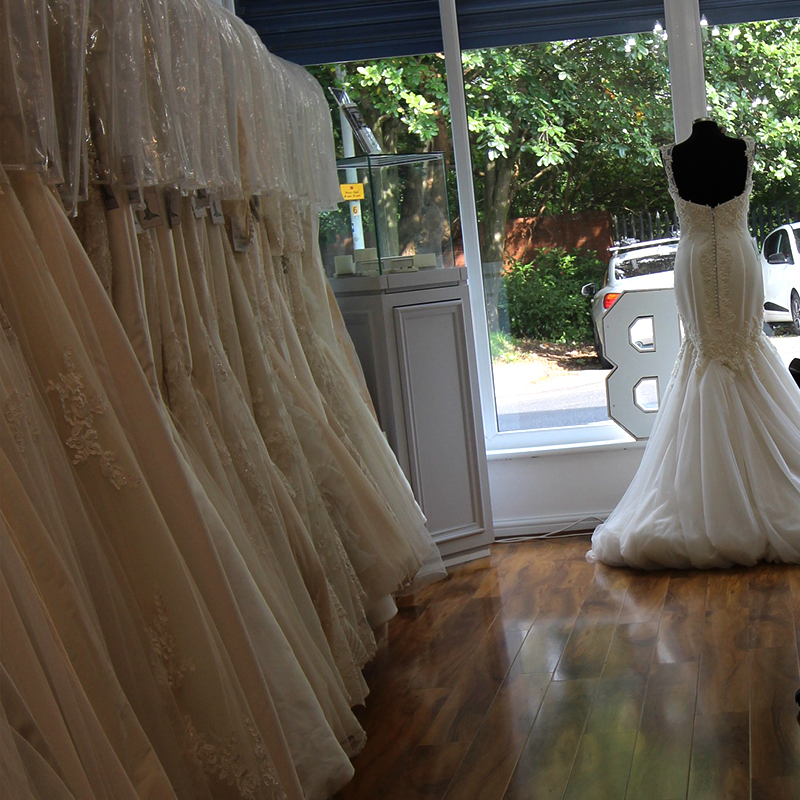 Why not speak to a member of our team at Cheshire Bridalwear, who will help you match each piece with your dress and shoes. Your Have Chosen Your Perfect Dress…..What happens next. 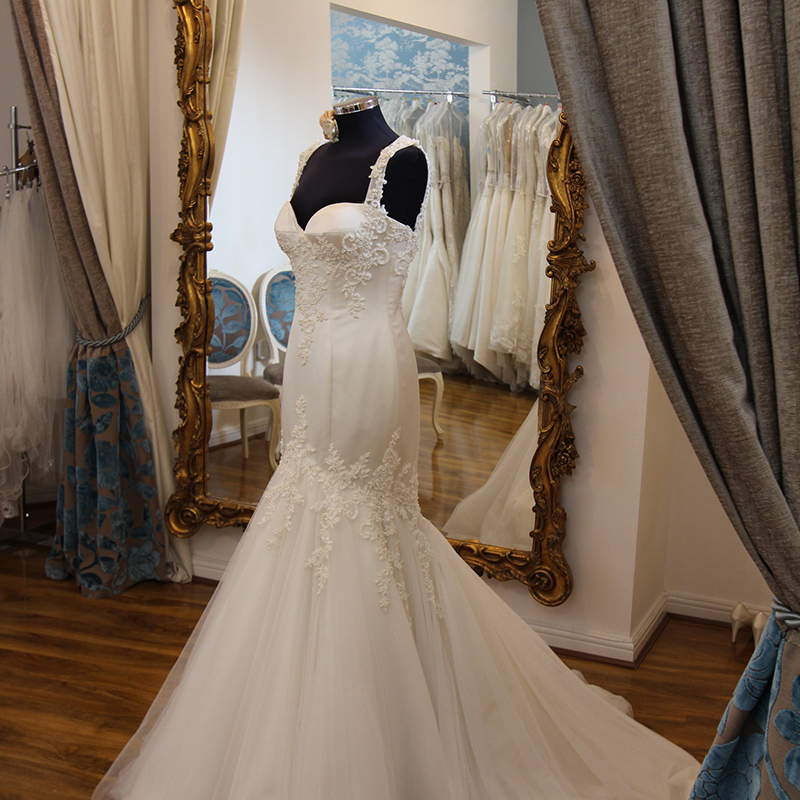 When your wedding gown arrives in store, we will contact you to arrange a convenient time for you come in to try on. This is a perfect opportunity for you to choose any accessories you require, to complement your beautiful dress. Our experienced team will always be on hand to advise and guide you through this next exciting process. To ensure your the dress fits you perfectly, some alterations may be needed. We work with two very talented, experienced, independent dressmakers whom will work in-house, offering you flexibility with appointments when you return for the fittings. 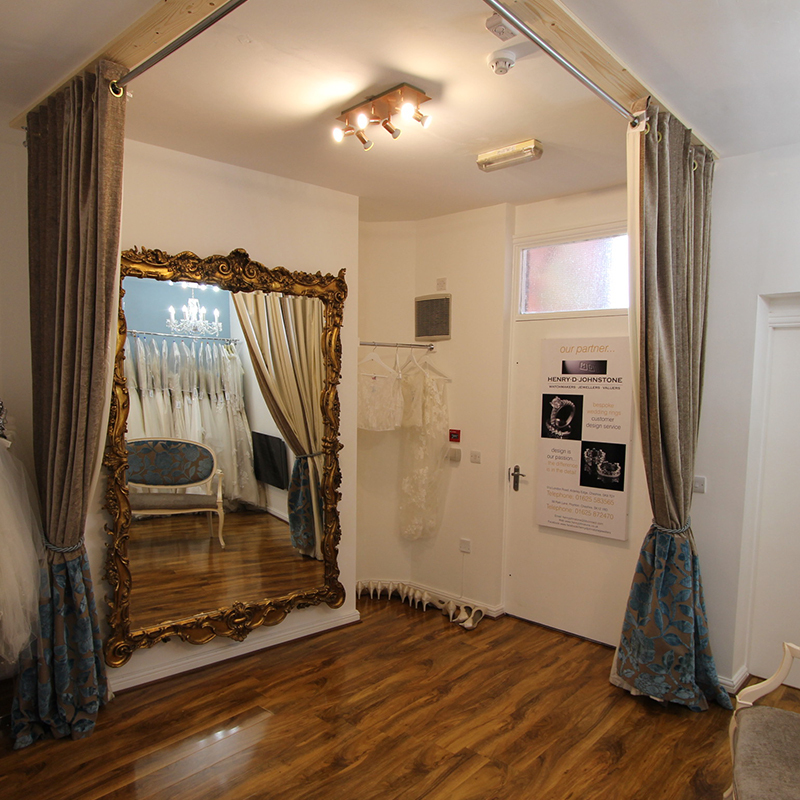 At your first fitting, your dress will be pinned until we create the perfect look and you are happy with the result. This will usually take place 4 – 5 weeks prior to your Big Day. Your second fitting will be a couple of weeks later, when you will retry and feel delighted and satisfied with the end result. If any more tweek’s are required, we will work with you, and will be accommodating within your busy wedding schedule. We want you to feel completely at ease and stress free. Prior to your Big Day, your gorgeous gown will be gently steamed and pressed at no additional cost, we will then carefully pack into one of our large, breathable wedding bags. Alternatively, if you are celebrating your wedding abroad, we will carefully pack your gown into your hand luggage or box.